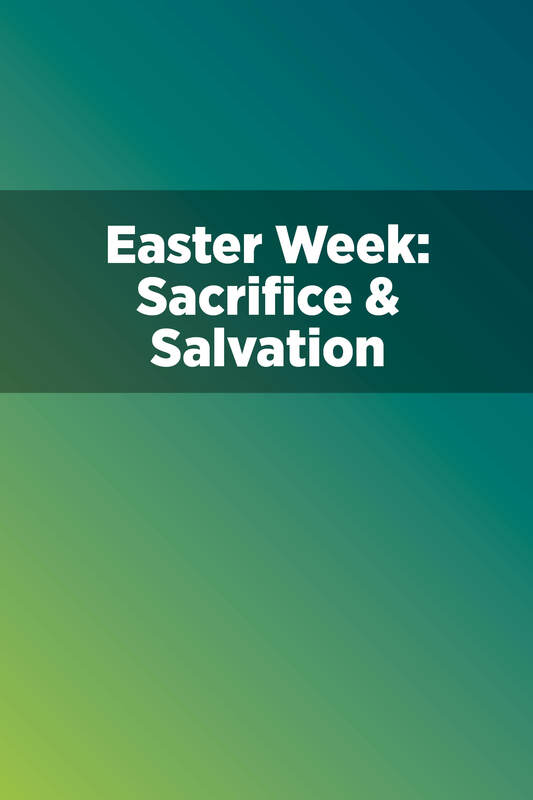 A week of contrasts—from the Triumphal Entry to the Passion. Holy Week changed the world, with the Cross as the turning point for all humankind. But it is also six days of amazing contrasts—from the joyful celebration of the Triumphal Entry to the Passion only days later. In between are days of both high drama—as in the confrontations in the temple—and high pathos—as in the Upper Room and Gethsemane. For people who have never thought about how these episodes fit together, this series seeks to bring all these conflicting events and emotions into a unified whole. Christ entered Jerusalem in honor as a king. Palm Sunday is, at best, "a day of temporary triumph," says Wallace Viets. At worst, it is an illustration of the "fickle nature of the voice of the people." It's a day that lifts us with shouts of praise, but just a few days later we see denial, betrayal, and unfaithfulness. It all culminates in the glory of the Resurrection. But it began on Palm Sunday, a day of applause. The Last Supper instituted the practice of Communion, which most of us celebrate on a regular basis in our churches. This study looks at how this practice initiates us into an understanding of God's redemption and release. It also exposes our hearts and feeds our deepest hunger. Through the rejection of the cross, Jesus is exalted as king. The Cross is central to our faith. What happened on Good Friday defines Jesus' life and ministry. This study seeks to emphasize the value of the Cross to us by pointing out the new life it provides. What does Jesus' resurrection mean? It means that Jesus is who he claimed to be, that he has the power he claimed to have, and that we have hope for this life and the one to come. This study will look at the evidence that Jesus is truly alive today by looking at the events of 2,000 years ago. This Study Through the Bible Course is based on PreachingToday.com sermons, by W. Frank Harrington, Lee Eclov, and Lee Strobel.